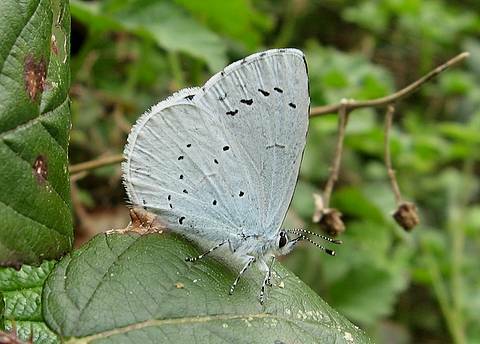 The Holly Blue is generally quite a common and widespread species although it is not usually found in large numbers. 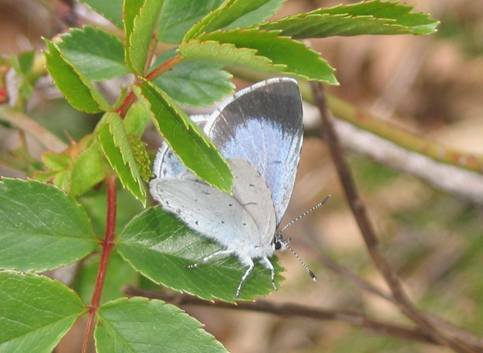 You will normally see the butterfly with its wings closed, but should you see the uppersides you will notice the broad, dark borders to the forewings of the female. 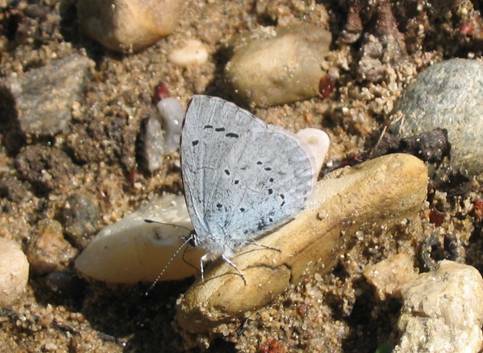 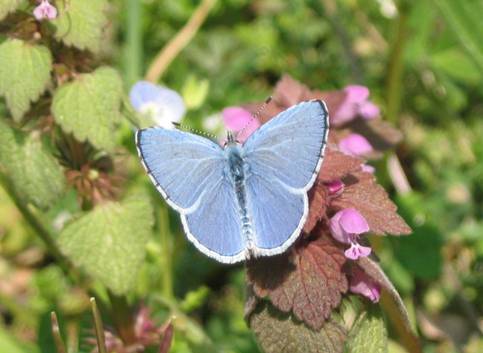 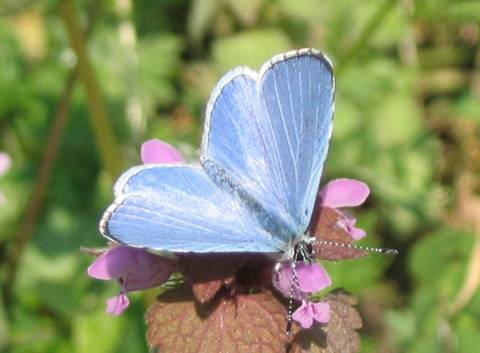 From the undersides there are some good distinguishing features; firstly the almost white ground colour with a pale, metallic blue sheen, then on the forewing there are black flecks in the fringe, 'flattened' black spots in the post-discal row and the costal edge has black banding across the white. 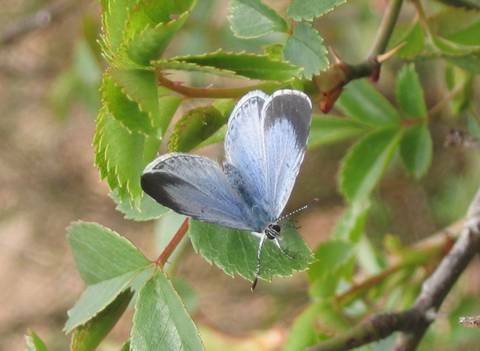 The Holly Blue flies mostly up in bushes rather than at ground level.